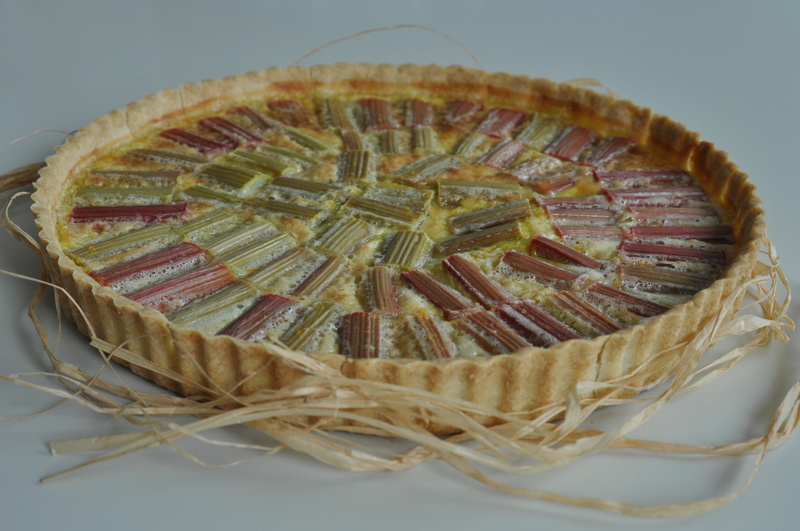 Rhubarb pie – Let’s celebrate summer! You might have noticed that it is rhubarb time again. The last few weeks I came across the long reddish stalks of the rhubarb plant at nearly every market, vegetable store and even at most grocery stores. Noticing them is one thing, but what should you do with them? Strictly speaking, rhubarb is a vegetable and not a fruit, but nevertheless it is mostly used in desserts and pies. Rhubarb is at its best from late spring to early summer, so right about now would be the best time to cook with it. The easiest way to cook rhubarb is to boil the pieces of rhubarb together with a lot of sugar in a little bit of water until the stalks have separated into threads. Once the mixture has cooled you can add a couple spoons to some ice-cream or yoghurt. This easy cooking method is both delicious and quick, but also a bit too boring for a blogpost in my opinion. What else can we cook using rhubarb? Although I would not go as far as Mr. Cleese in claiming that “eternal happiness is rhubarb tart”, I do think it comes pretty close. This rhubarb pie is one of my favorite pies because it reminds me of warm summer days in my parents garden. The beautiful balance between the tartness of the rhubarb and the sweetness of the custard makes this the perfect summer pie. All the credits for this pie must go to my mother since this is her recipe. SHOPPING TIP: When you buy rhubarb, just make sure the stalks are nice and firm. If the stalks are bendy that means the stalks have already lost a lot of their water which makes them chewy. Start by preheating your oven to 190 degrees Celsius. Put all the ingredients in your food processor until everything is mixed together. With your hands form a ball of the dough, wrap into some cling foil and put in the refrigerator for at least 1/2 hour. Then roll out the dough thinly with a roling pin, or by using the ball of your hand. 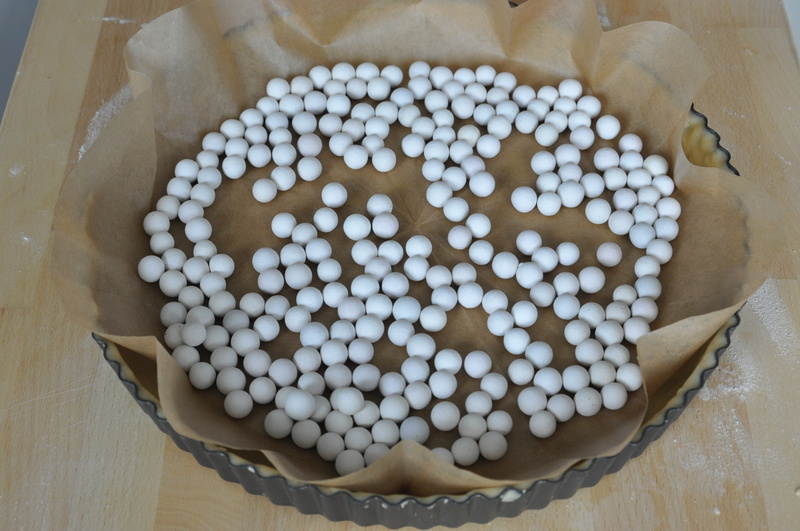 Cover the pie- crust with baking paper and (ceramic) baking beans. Blind bake the pie- crust for 10 min and take out of the oven to cool. 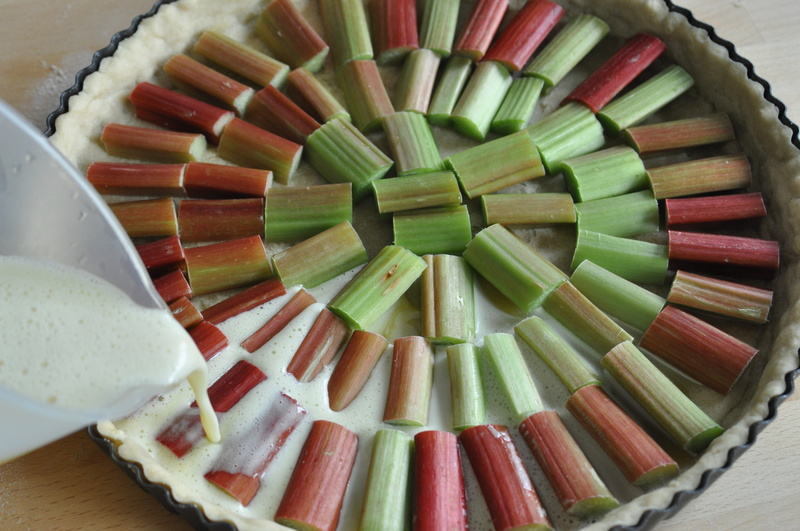 Cut the rhubarb into small pieces and lay them into the pie crust. Now you can start making the filling. In your food processor mix together the eggs, sugar, orange zest and two table spoons of flour. Put the orange juice and the milk in a pan and bring to the boil. When the liquid is boiling add to the mixture in the food processor and mix it one more time. Gently pour the mixture over the rhubarb. Put in the oven for 30 min. 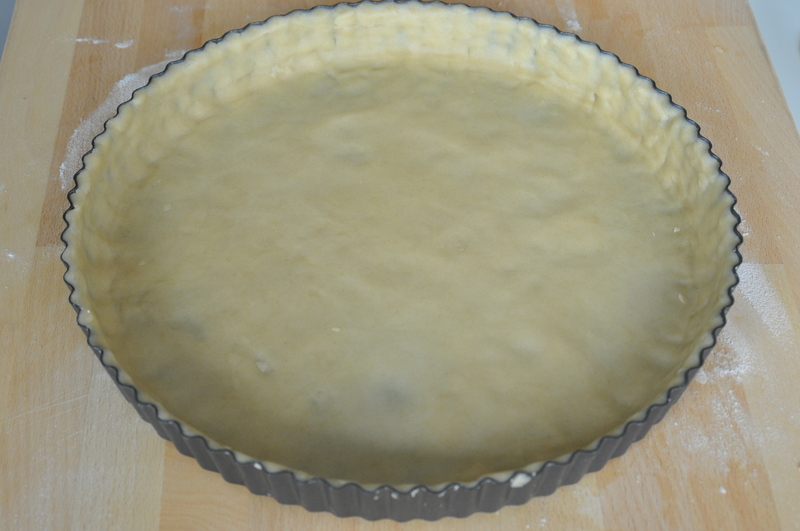 Let the pie cool before you remove it from its pan to prevent the crust from cracking. Serve like this or with some (yoghurt) ice-cream and may the summer last forever!